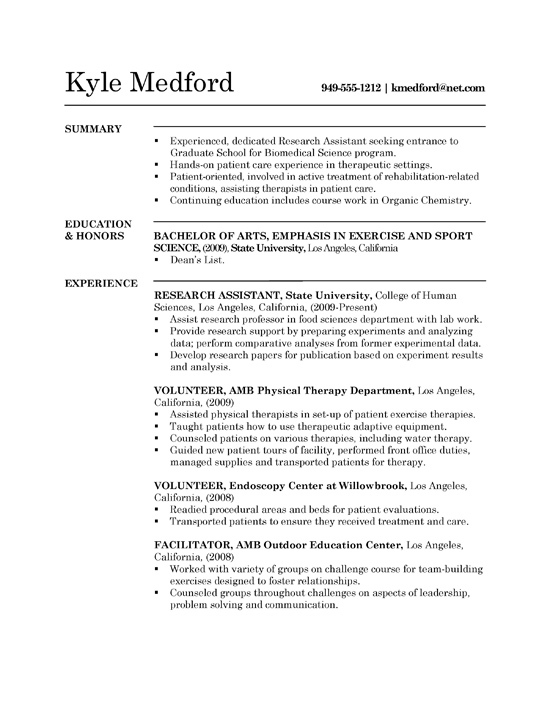 Resume example from recent graduate with experience as Research Assistant. This document works as a reference for most people in scientific or medical fields. 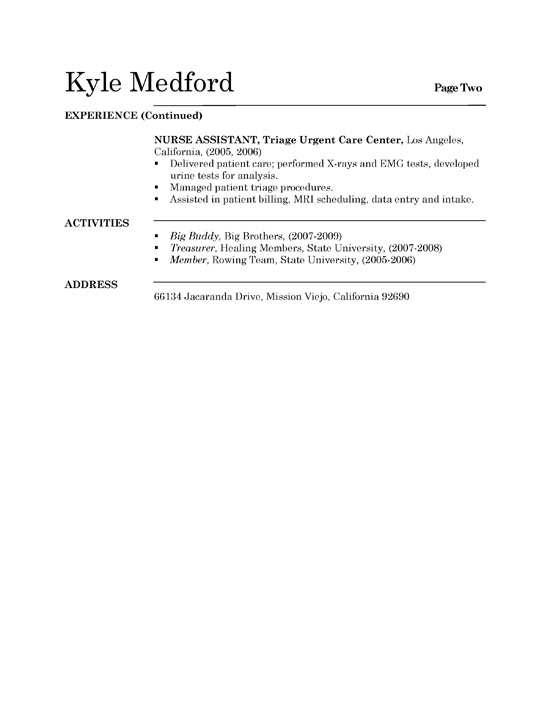 The resume opens with a bullet point list of statements that summarize the job seekers experience. The writer notes they are seeking entrance to Graduate School in Biomedical Science. Several qualifications are noted such as patient care, research, rehabilitation, therapy and organic chemistry. The job seeker lists their Bachelor of Science in Exercise and Sports Science below. The experience section is listed in reverse chronological order and includes positions as Research Assistant, Volunteer and Facilitator in health, nursing and therapy fields. The candidate outlines duties and responsibilities at each position. The resume concludes with complementary information about activities and that show leadership and teamwork.